Go light instead of heavy for your next drink, preventing empty calories from hitting your lean physique. Let's face it, you're going to be tempted to indulge every now and again—it's only natural. Going hard in the gym while keeping a sound diet is a lot of work, and there are worse things than wanting to unwind (a little) with friends and family. That said, it's hard to relax when you know you're sabotaging your lean physique. Playing the macro-counting game is a sure-fire way to take the fun out of a good time. Just remember: Moderation is key. Yes, you can still get a buzz without destroying all your hard work, but it'll be a lot easier if you make smart drinking choices. We're not promoting the sauce, but this comprehensive drink guide will help you curb the damage in enjoying a cold one or two (or three). Amounts are per 12 oz. There's good news, moderate beer consumption has been linked to decreasing heart disease and lowering the risk for hypertension. Again, the key is moderate consumption—meaning two drinks a day for men and one drink a day for women. For starters, not every beer is made the same way and most contain powerful antioxidants called phenols. 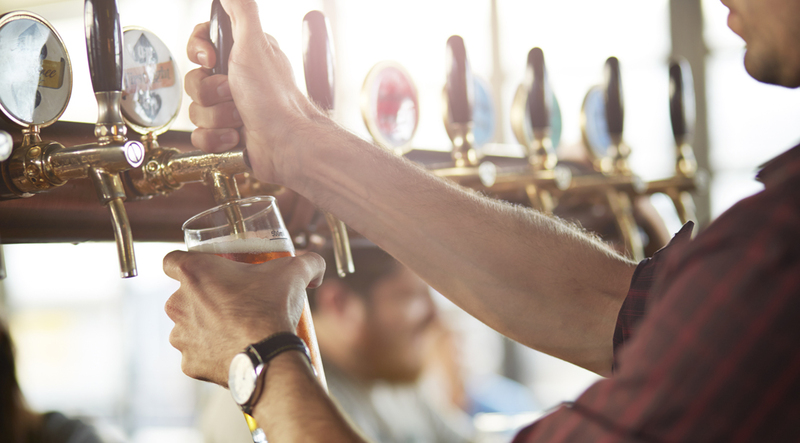 Phenols are more commonly found in ales, so your tall boy can pack on the health benefits. That's only with moderate consumption, not chugging down several beers. Consider the ramifications before downing your next alcoholic beverage. Ales: Left Hand Good Juju is an ale that's blended with exclusive herbs and spices, creating a fuller flavor. And, it's also got dash of ginger—a superfood that has been seen to alleviate post-workout inflammation and ease a sour stomach. It only has 131 calories, 12.1g of carbs, and a 4.5% alcohol content. A pale ale to add to the list is Sierra Nevada Pale Ale, which is made with hops and a slight orange blossom. Reap its phenol benefits at only 175 calories, 14.1g of carbs, and 5.6% alcohol content. is a solid choice. It's made with sorghum, corn, and raspberry puree malt. It's made with raspberries, so it gives you an antioxidant boost. It contains 160 calories, 11g of carbs, and has a 5% alcohol content. Light beer: When you're looking to go a bit lighter (and cheaper), Bud Light might be your choice. It only contains 110 calories, 6.6g of carbs, and a 4.2% alcohol content. Alcoholic cider: We haven't forgotten the cider fans: Magners Irish Cider Original is our choice here. It has only 150 calories and 14g of carbs. Stout: Associated with Irish car bombs, Guinness Draught surprisingly makes the healthy list. Why? Because it's phenol-rich. Macro-breakdown: 119 calories, 9.7g of carbs, and a 4% alcohol content. Lager: We're going Dutch here. Heineken Lager is a classic beer. It clocks in at 110 calories, 8.5g of carbs, and a 4% alcohol intake. Plus, it's made with high standards in mind, using only water, hops, and yeast.